Law & Order premiered 28 years ago and ran for 20 years while also giving birth to six spinoffs, including one (Special Victims Unit) that is entering its record-tying 20th season and another (Hate Crimes) that is premiering this fall. Here are WTOP's top 5 episodes. EDITOR’S NOTE: WTOP asked its resident expert on “Law and Order” to name his favorite episodes. Here’s what Dave Preston came up with. WASHINGTON — “Chung-chung” … or “doink-doink,” depending or your perspective. “Law & Order” premiered 28 years ago and ran for 20 years while also giving birth to six spinoffs, including one (Special Victims Unit) that is entering its record-tying 20th season and another (Hate Crimes) that is premiering this fall. Twenty seasons of crimes “ripped from the headlines” allowed for quite a few highlights and even more cast changes. Four district attorneys, 10 different prosecutors and 11 detectives kept the show fresh and gave each generation of watchers its own favorite lineup. 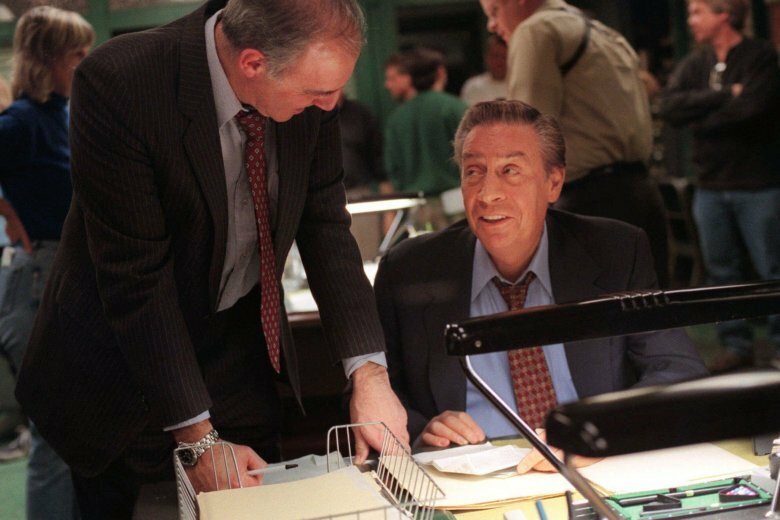 My L&O All-Stars are Steven Hill as DA Adam Schiff, Sam Waterston and Jill Hennessy as prosecutors Jack McCoy and Claire Kincaid, S. Epetha Merkerson as Lt. Anita Van Buren with Jerry Orbach and Jesse L. Martin as detectives Lenny Briscoe and Ed Green. But those are only my personal preferences; instead of arguing over which wine varietal is best it’s better to simply enjoy each episode unfold. Even more of a challenge is to throw out the best episodes. What are you looking for in a case? Five have stuck with me over the years: four from the show’s sweet spot of seasons 5-10 and one from the penultimate season that proved “Law & Order” still had its fastball. House Counsel (Season 5, Episode 10) — McCoy butts heads with a former law school classmate who’s made a mint representing the mob. Jury tampering and mob hits come into play as McCoy plays chicken with an old rival. Aftershock (Season 6, Episode 23) — A rare non-case episode that involves an execution, soul-searching and tragedy. The rock group Oasis is also referenced. Shadow (Season 8, Episode 8) — It appears as though a defense attorney is rigging trial outcomes, but upon further review, it may be a prosecutor who is the fox in the henhouse. Merger (Season 10, Episode 4) — The teenage daughter of a nouveau-riche family is killed … and an old-moneyed family may be involved in more ways than one. Pledge (Season 19, Episode 10) — A late-season study of class consciousness and obsession that has McCoy’s replacement as Executive Assistant DA Michael Cutter at his most cunning.